Manufacturing sector in St. Kitts and Nevis is dynamic, stable and strong and remains competitive in export manufacturing as ‘made in St. Kitts’ products continue finding their way in the aerospace industry in the USA and in Europe, observes Prime Minister and Minister of Finance Dr the Hon Timothy Harris.“It is a highly sophisticated and competitive industry. Celebrating under the theme ‘TEAM UNITY: Making Dreams a Reality in Every Community!! 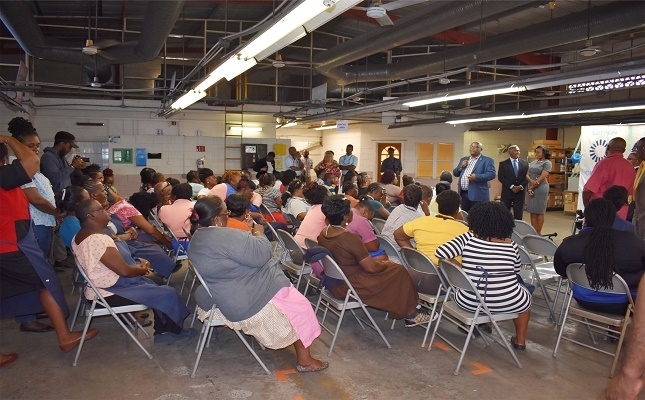 !’ Prime Minister Harris led members of Cabinet, accompanied by officials from the Department of Labour, on visits to three factories in the CAP Southwell Industrial Park, one in West Basseterre, and one in Sandy Point.